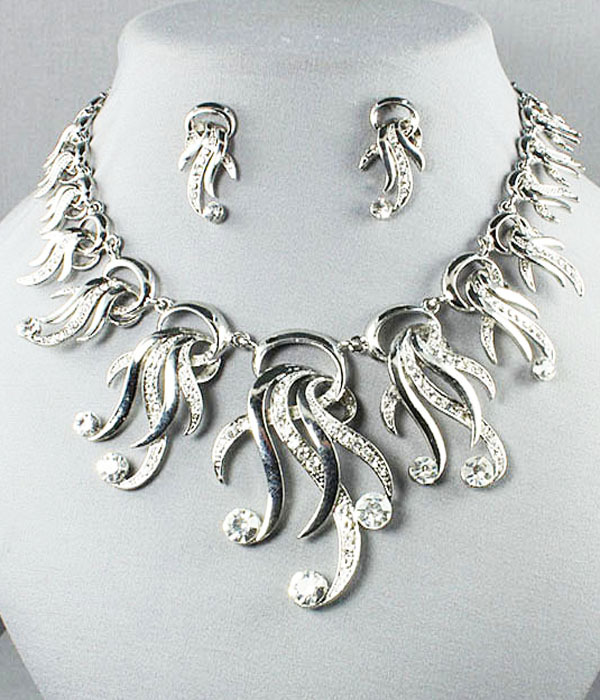 Extraordinary design of this jewellery set will make it your number one choice for a party or a date. Winding strapes of silver-tone metal with incrusted rhinestones and small clear crystals on the edges resemble lianas. Matching earrings with clip-on fastening. Shop from one of Australia's most rewarding online jewellery stores.